The state of Florida was hard hit when Hurricane Irma struck at the end of August and many residents were forced to evacuate without their animals. 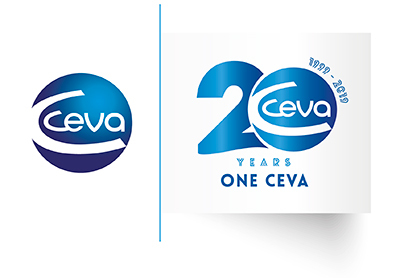 Ceva’s rapid response team distributed, pheromones, parasiticides and dermatology products throughout the southeast. Lessons shared by the Texas based team during Hurricane Harvey helped the team in the Southeast proactively prepare to respond to the storm. Before the hurricane hit, the local Ceva team reached out to state veterinary medical associations, shelters and clinics with information on what could be provided and how to stay in touch as the storm came ashore. This made it much easier to mobilize donations as soon as the weather improved. While distributing supplies for Hurricane Harvey relief, Ceva employees heard time and time again that they were the first animal health company to deliver supplies into the area in south Texas most devastated by the hurricane. Our entire team pitched in to ensure we were in a position to help. Many customers and shelters told us we were the first to offer support and the first to arrive with product to help their efforts. The clean-up from this storm will continue for months and we have plans in place for a sustained relief effort. The hurricanes came through regions where heartworm disease is the most common in the U.S. To help prevent the spread of the disease, Ceva provided doses of Vectra 3D® to prevent the spread of heartworm disease during transportation and in shelters taking in these displaced animals. Ceva also worked with relief agencies to produce new guidelines to reduce the possibility of heartworm disease transmission when transporting animals. These guidelines have subsequently been approved for all emergency situations, with the recommendation to immediately treat dogs coming into a shelter’s care with an appropriate topical parasiticide.